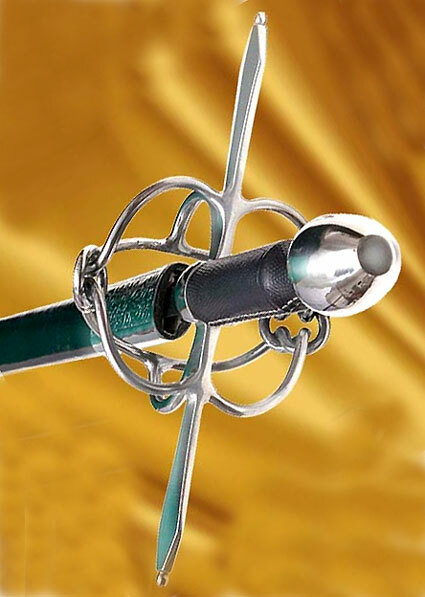 An unusual German rapier, 16th century, from the cusp of the sidesword to rapier transition. The hilt shows design aspects of a larger sword, but the knot shaped basket is quite unique. 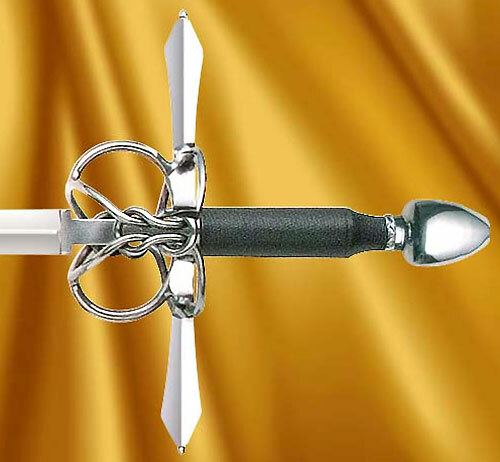 The sword is light and quick and balances in the hand nicely. The fittings are steel and the grip is textured leather over wood. The blade is high carbon steel tempered to a good spring. The scabbard has a highly decorative throat and tip. Copied from an antique arms catalog.